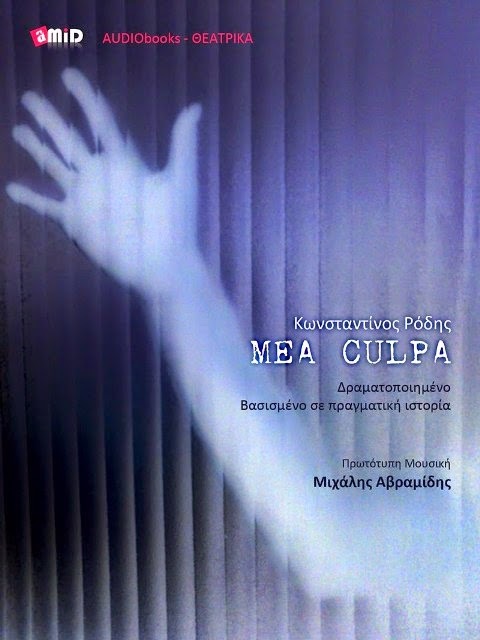 Audio Book MEA CULPA: IOANNIS KYFONIDIS WRITES ABOUT "MEA CULPA"
"I firstly "met" “MEA CULPA” text , when Constantinos Rodis emailed me the movie script, written in summer 2010. When we met each other by chance at Koukaki, after a long time, he told me about his dream to make this movie. Two years later , the more or less alleged financial crisis postponed film shooting. Then, after discussing the internet potentials on radio-theatre revival , literature and audiobooks, Natasha Bozini had the idea of an acoustic drama version and its digital distribution. And this idea came true. It was time to realise who Aris is , Stavros' big brother. I also realized who am i in this remarkable, allegorical and bitter "fairytale" titled «MEA CULPA». I also realized that i became "Aris" sometime in my life. And like him , I felt ashamed of my own people, even a few times, mattering about the society reactions and "closing" the doors behind me. But then I felt regret and tried to make it up. Although i took it back, i couldn't change what i have done. Many thanks to STUDIO AMID, Natasha Bozini and Michael Avramidis for this fabulous and adventurous recording in Koropi-Markopoulo , from the very deep bottom of my heart. Many thanks to Elena Angelopoulos and Lucia Frantzikos for the radio "family" who made for me . 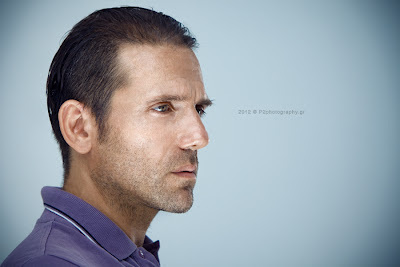 Above all, many-many thanks to the writer-director himself, Constantinos Rodis, who , besides a great writing-directing-acting partner, is a valuable teacher to me, the "aging ever taught." "Thank you Constantinos .. you know why. And if i made you sad at once, its "MEA CULPA", MY FAULT "! PS:.... Vicky, Mario and Yuri....., I have no words! " Αναρτήθηκε από Mea Culpa στις 11:13 π.μ.